4.25" high. Enjoy fresh, full nutmeg flavor, without risking finger safety. 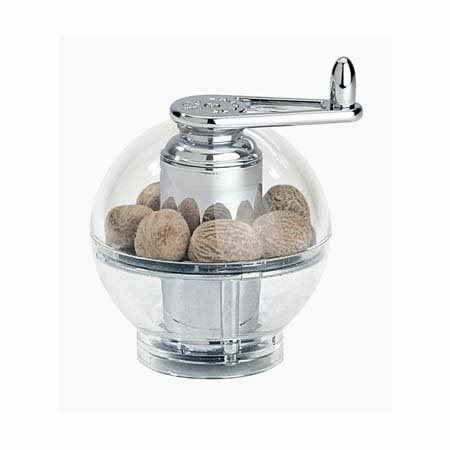 Four claws hold whole nutmeg in place and when the handle is turned clockwise, two safely concealed blades shave thin pieces of the nut, releasing the fresh flavors and aromas. Whole nutmegs included.